loyal soldiers than conservatives in the House. The House screws Trump by putting up a bad bill. 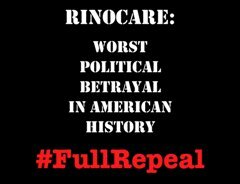 Thank the House Freedom Caucus for helping stop a bad healthcare bill. left the core elements of this terrible law in place. See phone numbers and twitter addresses. counter-protesters. Over 1,000 people attended the “Make America Great Again” march. According to US President Trump’s strategic advisor Steve Bannon, the “Judeo-Christian West is collapsing, it is imploding. And it’s imploding on our watch. And the blowback of that is going to be tremendous”. The Sword & Shield to stop the islamization of America. Take Action. Tourist boycott to San Francisco & Oakland. In addition they are a sanctuary city. “There’s a class of people for whom no identity is permitted. Why aren’t Americans allowed to determine their own immigration policy? whose greatest validation is his father’s old job. should never have allowed his father to immigrate. event was staged to commemorate the 100th anniversary of the United States entry into World War I and reaffirm the historic ties between France and the U.S.
No indication that this was Islamic terrorism yet. THANK YOU FOR HELPING STOP A BAD BILL! It’s been a trying few weeks with the GOP’s attempted Obamacare replacement bill. Make no mistake, Obamacare is a huge disaster and it must be repealed – in fact, it’s been one of the key motivators for us for the last seven years, ever since it became law. We’ve been committed to repeal since the beginning. That’s why we had such a problem with the House GOP leadership’s draft legislation. The Republican plan that failed to gain enough votes today didn’t actually repeal Obamacare, and left the core elements of this terrible law in place. Passage of this bill and signing it into law would have set Republicans up for the blame when premiums continued to skyrocket and the program ultimately failed from insolvency – just as Obamacare is set to do. At that point in time, Democrats would have been screaming for the need to go back to Obamacare, or even worse … to single-payer healthcare. President Trump said today that he is ready to work on a replacement bill when Congress is ready to provide him one. We are ready and eager to work with President Trump and Vice President Pence and conservatives in the Congress to usher in a healthcare reform bill that fully repeals Obamacare and replaces it with true, free market reforms that will lower the price of insurance and improve the quality of care. It’s time to get the government out of our healthcare! We also want to thank the House Freedom Caucus and other Republicans who stood firm on principle and worked in good faith to amend the bill so we could all support it. We encourage you to reach out and thank them as well (list of HFC members at the bottom of this email). Below is the statement we released to the press today. On your behalf, we will continue fighting for a true, full repeal and replacement bill. Thank you for continuing to fight for full repeal! NOTE: Twitter limits the frequency of tweets you can send in a short period of time. The best way to avoid this is to pace the tweets you send. If you still get restricted, wait a few minutes and try again.